It has been just over a year since the European Commission announced its action plan for a circular economy. To do so makes a lot of sense for the EU, as the concept of a circular economy runs reasonably parallel to the EU’s economic intentions, making them easy to intertwine. The EU strives for better business, with increases in jobs and growth, but aims to do so without harming the environment. All of these things go hand in hand with circular economy, which by its very nature is good for business by reducing costs and wastage, not to mention the job creation instigated from waste processing and recycling. Reduction in waste inherently results in growth, and also benefits the environment, with accompanying reduction in fossil fuel use and thus CO2 emissions. So, a year on from its inception, how has the EC’s circular economy action plan been getting on? On the 26th of January of this year, the EC published a review into its implementation, and the results are encouraging. Very little in terms of actual policy has happened, but this is to be expected, as a year is a short time-frame in the EC, which likes to ensure an avenue has been thoroughly scouted before heading down it. Many modifications to policy have been proposed, however, which stand to benefit the circular economy in Europe, with the main target being waste and its reduction. This is being approached in several different ways, dealing with several different waste streams and all levels of the waste pyramid. One such level is the reuse of waste, which is being employed in several areas: notably waste water and food. The former case is particularly important, as water is becoming scarcer as a resource in Europe, and so successful and safe reuse of waste water would go a long way to alleviating this problem. A public consultation is underway regarding waste water reuse policy, including treatment of waste water for direct reuse, or use of waste water in agriculture to replace solid fertiliser. On the subject of fertilisers, one of the marquee proposals in the report is that of a “genuine” single market for secondary fertiliser within the EU. This is an attempt to reduce dependence on imported chemicals such as phosphates, which can be obtained from waste. It is said in the report that this could create 120,000 jobs in the waste processing sector. By removing state-level secondary fertiliser markets, which are currently still in place despite the overarching EU single market, the Commission hopes to level the playing field by allowing companies all over Europe to have equal access to the market, which they claim is a great opportunity for SMEs in the sector. Food waste is another area where the Commission believes significant success can be had. Whilst food donation is one route the Commission is considering, more promising would appear to be reappropriation of food waste as animal feed. If this can be done safely, then it will not only have the benefit of reducing food waste, but will also reduce the need for animal feed in the form of cereal crops, thus reducing land use and freeing up agricultural land for other purposes. Such a success would be the very epitome of the benefits of circular economy. There is also an acknowledgement of the potential for generating energy from waste, but nothing is announced beyond a “communication” on the subject. As far as biomass and bioenergy are concerned, the report acknowledges their importance for reducing the environmental impact of the energy and transport sectors, but adds the caveat that the raw materials required (notably wood) are in limited supply, and so recommends that only “efficient” biomass use receive public support. Quite what criteria will be used to determine the threshold of efficiency is unclear. The importance of biobased products for the circular economy is also acknowledged, but nothing is suggested policy-wise. The majority of the proposals highlighted in the report deal with overcoming financial and legislative barriers to circular economy projects. To achieve this, the Commission plans to identify and change any legislation that might hinder the circular economy. 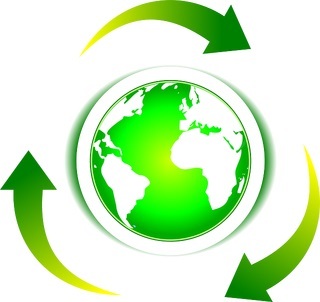 Official guidelines, such as the “Best Available Techniques Reference Documents” will also be updated to promote the circular economy. The example that the report is most positive about is the Ecodesign project. A working plan has been published to establish regulations and restrictions on products at the design level to ensure they are easier to recycle. Ensuring that as much of the product as possible can be reused or recycled. With the advent of this action plan, it is abundantly clear that the Commission is determined to strive for circular economy. Those who are critical of the level of bureaucracy in Europe may well be encouraged by the report’s explicit statement that the sooner the proposals are put into place the better, as to have the greatest effect, there needs to be a “fast transition to the circular economy on the ground.” We will no doubt watch its progress with interest, as successful transition to circular economy would completely revolutionise the way Europe functions. The Commission's report can be accessed here. This article was written by Bob Horton, Research Analyst for NNFCC.